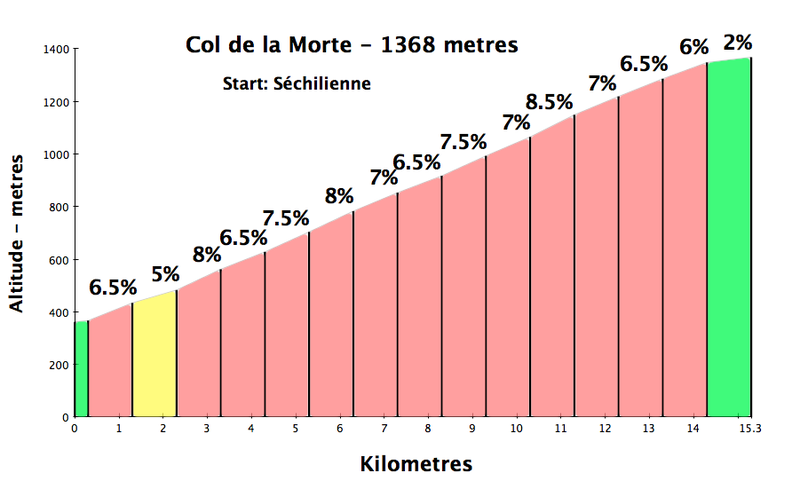 Col de la Morte — Pass of the Dead. Nice! 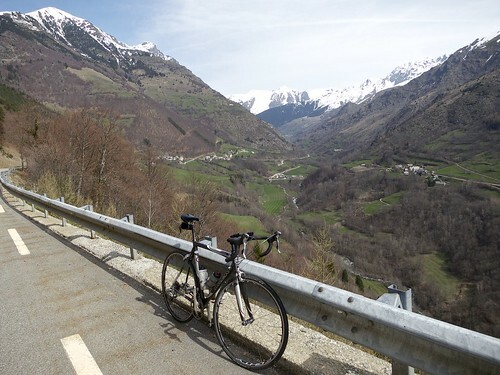 This 15 kilometre climb starts in Séchilienne – just off the busy road between Grenoble and Bourg d’Oisans. But this route is entirely on scenic, quiet roads. Almost the entire climb is through woods. Lots of hairpins, and the occasional great view below. At the summit is the small ski station of L’Alpe du Grand Serre. Highly enjoyable climb. 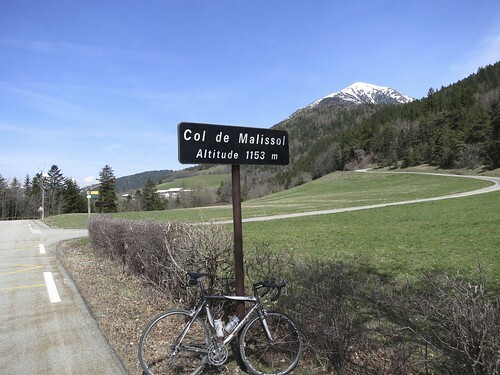 The road then descends into an alpine valley surrounded by high mountains and then climbs out of the valley via Col de Malissol. Next I followed quiet roads to Laffrey. The Côte de Laffrey is the very steep 6 kilometre stretch of road from Laffrey to the valley below. 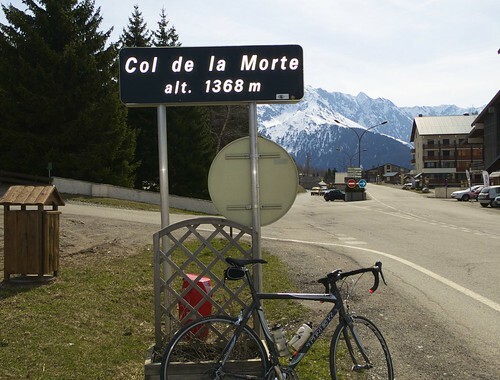 It is one of the most dangerous roads in France with a long history of nasty accidents. You do not want to descend or climb this road on a bike. After Malissol I followed signed bike-friendly roads to Laffrey (staying on the right side of the lakes versus the busy main road on the left). Exactly at the exit of Laffrey, I skipped the above mentioned Côte de Laffrey and instead took a lovely, deserted road down back to Séchilienne (it is signed for bikes). This is a fantastic loop. It can be easy to find one self on busier roads in this area …. 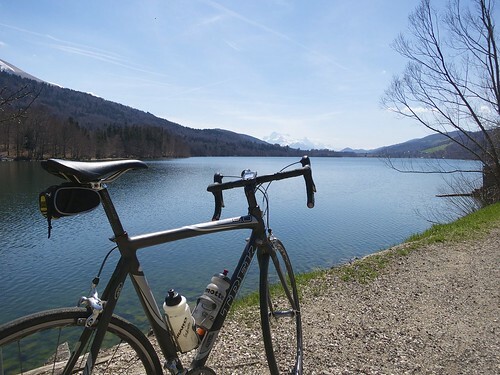 so I’d suggest following my mapped route — (note, the very first kilometre I got a little lost – just start out on the D13 following signs to L’Alpe de Grand Serre). Thanks for these great routes you’ve shared. Been going to Bourg for the last few years and wanted some more out of the way routes rather than just repeatedly riding the big name climbs that get very busy!! Stoked for summer 2016 and you’re helping me plan my week! !